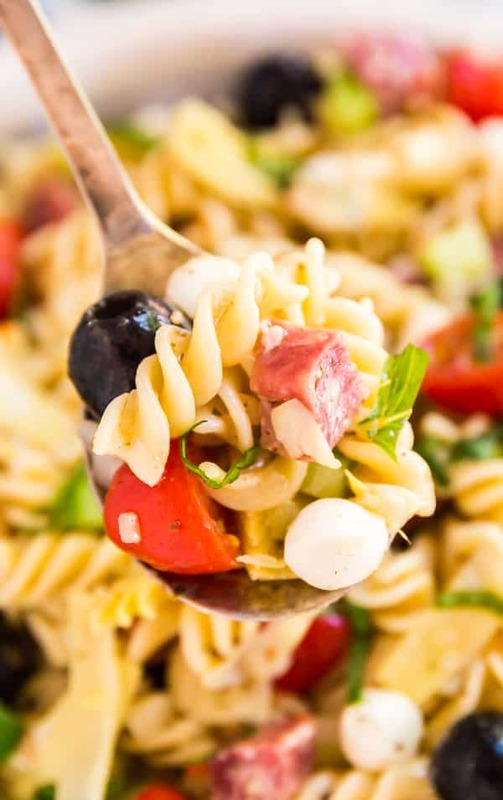 Antipasto Italian Pasta Salad - and easy and delicious side dish to share. 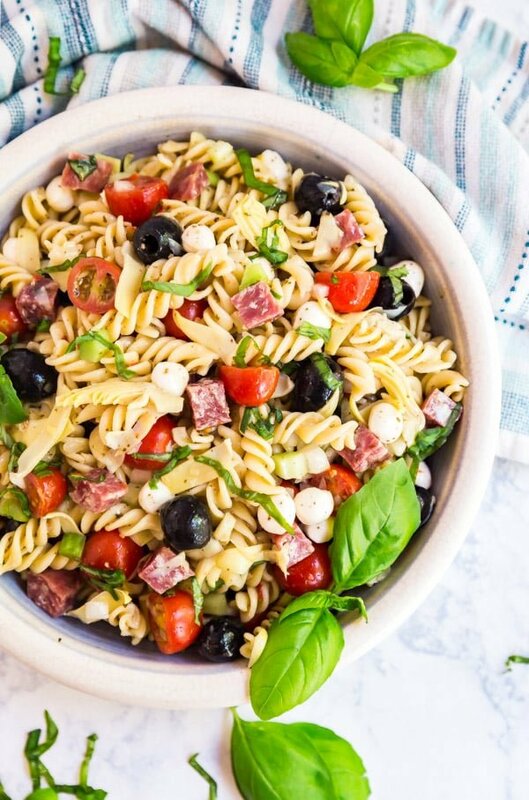 This Antipasto Italian Pasta Salad will knock your socks off! 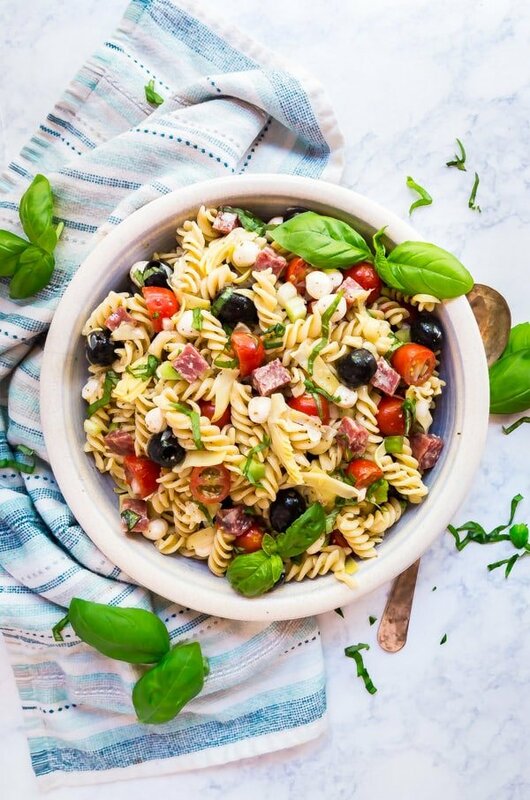 It’s quick and easy to assemble and full of all the great Italian flavors, this will be your new go-to pasta salad recipe! I’m from an Italian-American family, and I have to tell you, we know how to do a good get-together. More specifically, there is some serious eating happening and I’m not even a little bit sad about it (although my waistline might disagree!). Of course, there are always a wide array of pasta salads at summer gatherings. And at most gatherings, there’s also an antipasto platter full of veggies (marinated and fresh), olives, cheeses, and charcuterie. So I said to myself, “Self, why not combine pasta salad and antipasto? These are two major players in the world of party platters and huge favorites of everyone we know. This is bound to be a hit!” And boy was I right! 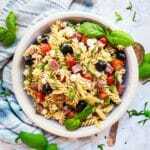 The great thing is, most of the usual suspects found in an antipasto salad are also an excellent fit for a pasta salad recipe. And you know how pasta salads tend to get better as they sit in the fridge and absorb the dressing? 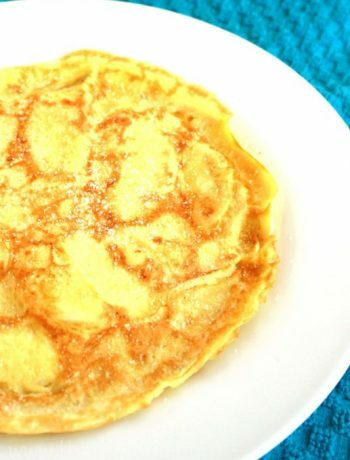 Most of the ingredients here only get better as that happens (and the ones that don’t can simply be added just before serving). It’s basically begging you to make it ahead, which is totally convenient. Follow the package directions to cook the pasta to al dente. As the pasta salad sits with the dressing on it, the pasta will absorb it and soften a tiny bit more. Make sure you salt your pasta water- salty like the sea! 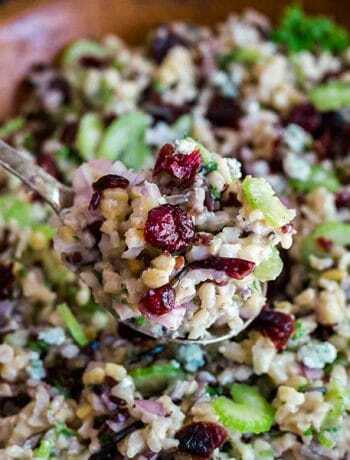 This will add even more delicious flavor to this easy pasta salad. Cool the pasta completely before adding the other ingredients. To speed this process you can always run it under cold water while it’s in the strainer. In terms of making this ahead, add the ingredients that will be ok sitting in the dressing like olives, tomatoes, onions, fennel (or celery) and artichoke hearts. Some of the other ingredients are best added just before serving to preserve their color and texture like the salami (or soppressata), fresh mozzarella, and basil. Chiffonade the basil. It will help reduce the bruising of the tender basil and it looks really pretty. Here’s a tutorial on how to do this. Don’t dispose of leftovers. There is nothing better than pasta salad leftovers! 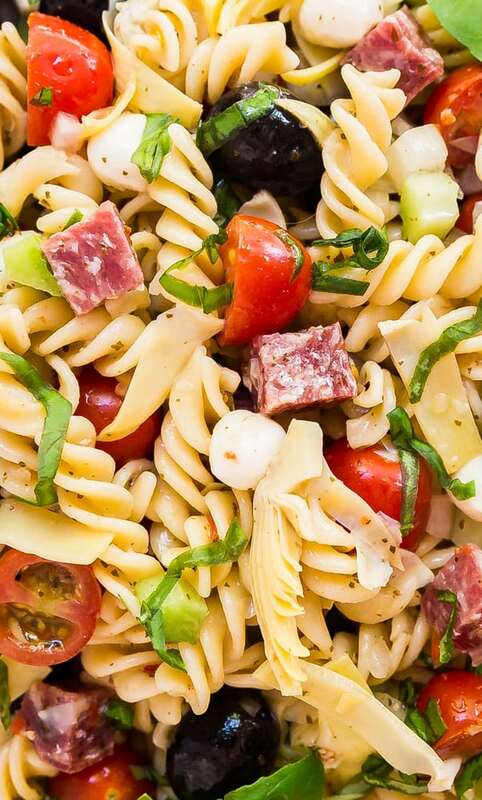 This Antipasto Italian Pasta Salad will knock your socks off! 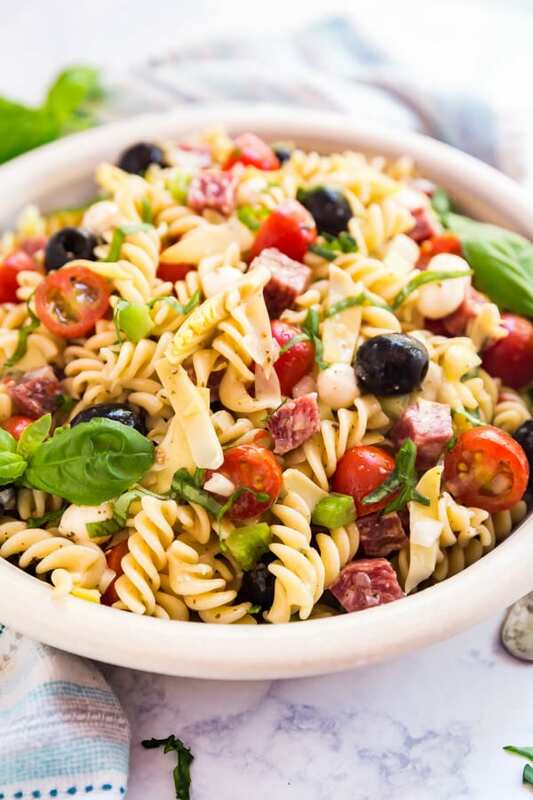 It's quick and easy to assemble and full of all the great Italian flavors, this will be your new go-to pasta salad recipe! 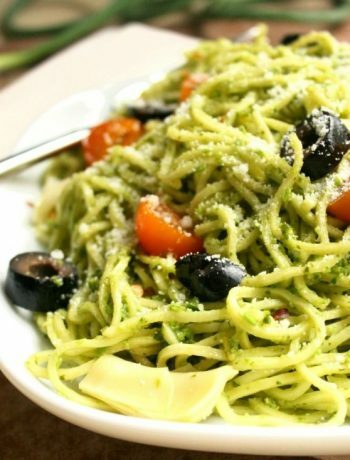 In a large bowl add cooled pasta, olives, artichoke hearts, grape tomatoes, chopped onion, chopped fennel and half the bottle of dressing. Just before serving add soppressata, mozzarella, and basil. Toss to combine and taste. If needed, add additional dressing and serve. This lasts for up to a week in the refrigerator.